Its hard to believe that its been ten years now since the first dot-com bubble explosion. While its hard to pinpoint when exactly things went awry, it was at the Jan. 2000 Super Bowl that Pets.com ran its infamous TV ad that cost it $1.2 million, and by the Super Bowl in Jan. 2001 you had the E*Trade commercial of a chimp riding through a ghost town of dot-com offices. Who were these companies? What happened to them? We're going to take a look back at five of the companies that formed the first, and hopefully only, major bubble of the Internet age. Probably the best known of all the original dot-coms due to its recognizable sock puppet mascot, it was also one of the biggest disasters. Formed in 1998, it gathered up over $300 million in venture capital, it purchased that Super Bowl ad in Jan. 2000, it bought out Petstore.com in the summer of 2000. The problem was that Pets.com was a champ at spending money, it just wasn't very good at making it. According to Thinking Inside the Box: The 12 Timeless Rules for Managing a Successful Business by Kirk Cheyfitz, the site spent $11.8 million in advertising in its first fiscal year (Feb. 1999 to Sept. 1999), but generated a revenue of only $619,000. The company tried to improve things in its second year, but with free shipping offers on extremely heavy pet items, it ended up selling almost all items at a 27 percent loss, so its increasing popularity actually hastened its eventual demise. By the Fall of 2000 the company completely collapsed and shut its door. The Pets.com sock puppet was sold off for $125,000 and appeared in a few other ads, and eventually disappeared. He does live on as the ultimate symbol of what went wrong in the bubble time. This was probably the second best known failure of the dot-com bubble, although some people were confused about when it actually died as KB Toys bought and it kept going until that company's eventual Chapter 11 filing in 2008, and the brand was then bout by Toys R' Us in 2009. The company was founded in 1997, and though its public stock shot up from $20 to $76 on its first day of trading, the company simply couldn't survive the bubble bursting. 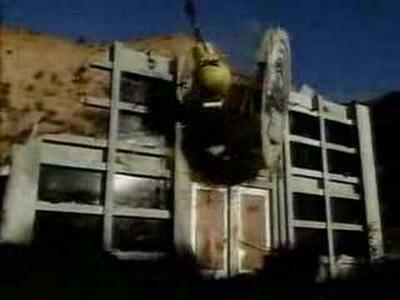 The company filed for Chapter 11 bankruptcy protection on March 7, 2001. WebVan may have been the ultimate example of dot-com bubble era hubris. The idea was that WebVan would deliver your groceries to you, but the grocery industry deals with razor-thin margins, and to open in 1999 and expand to eight cities by 2001 — with plans for 26 more cities — was just too much, too fast. The company raised $320 million in capital from going public, but it was trying to buy $1 billion in warehouse infrastructure, manage 2000 employees, purchasing over a hundred office chairs that cost $800 each … they were spending money like there was a bottomless well of it. The company folded in 2001 with all non-perishable food being donated to local food banks. Kozmo was another company that thought it could make up for offering free delivery with volume. This time it was an errand service for city dwellers where they would go out and pick up whatever it was you needed, and deliver it to you for free. Founded in 1998, the company eventually learned that delivering DVD rentals by messenger was just too expensive, and eventually started a $10 minimum order, but it was already too late. The company had raised $250 million in venture capital, $60 million of which came from Amazon.com, and had filed for an IPO by the time it closed its doors in April, 2001. All 1,100 employees were laid off, and all assets were liquidated. Flooz was an idea for virtual currency accumulated like frequent flier miles: You would receive them as bonuses from online merchants, or you could go to the site and purchase more of them. You then could redeem them for merchandise from participating merchants. The site was founded in Feb. 1999, and it became better known for having Whoopi Goldberg as its spokeswoman than for what it actually did. 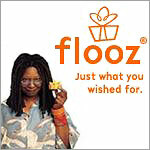 The company announced its closure on Aug. 26, 2001, leaving people with completely worthless Flooz currency, even if they had purchased it as opposed to earning it. It is estimated that the company had burned through as much as $50 million in venture capital by the time it shut its doors. Robert Levitan, one of the founders of the company, told The Industry Standard that by mid-2001 the company had been informed by the FBI that it was being targets by Russian criminals in a money laundering scheme. It was discovered that as much as 19 percent of its transactions had been of a fraudulent nature. It took years for people to regain their confidence in the Web as a business medium. The companies that crashed in the first round had just been over exuberant in the potential of the Web. With a lack of needing retail store fronts, all people could see was dollar signs, and buoyed by the success of Amazon, investors were eager to throw money at any company that had a ".com" in its name. Some of these concepts have finally come back around (PeaPod.com seems like a natural successor to WebVan.com for instance), while others died the death they deserved, like Flooz. Those of us who were around for the dot-com bubble I think still have a bit of leeriness to us, always thinking that another bubble could burst and see some of our favorite services disappear. It does appear that a lot of lessons were learned from those halcyon days, and it seems unlikely that they could repeat in quite the same nature, but yet we do remain on our guard for it.